Limited seating available – first come/first serve! No refunds unless the concert is cancelled. James and John will be selling and autographing his CDs at the concert, so bring extra cash! 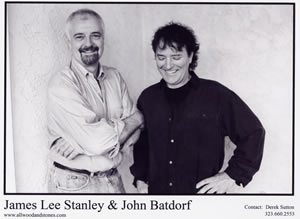 Hear some music: "All Wood and Stones" by James Lee Stanley and John Batdorf.